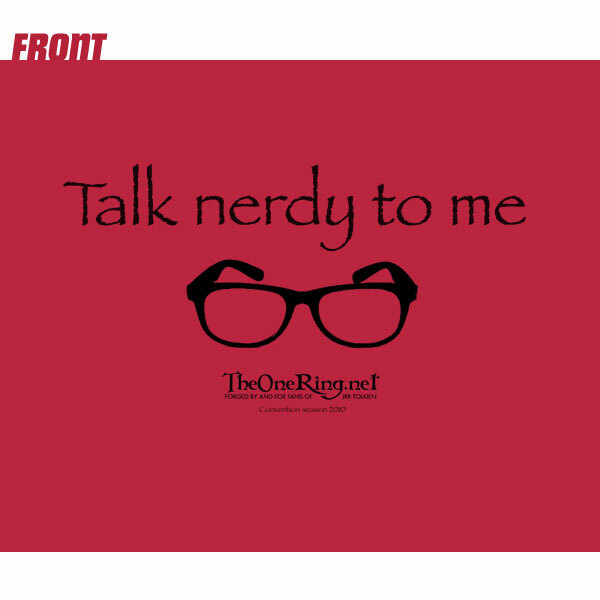 Snag your TheOneRing.net Comic-Con 2010 Shirts Today! Each year at Comic-Con, TheOneRing.net releases at least one new t-shirt for the attendees. And each year we can all but guarantee that we’ll get a load of email from non-attendees looking to purchase the same shirts. This year, we were prepared! 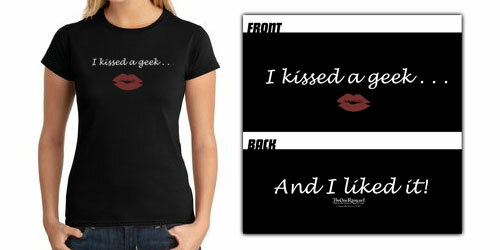 We’re happy to announce that you can now place your order for our Comic-Con 2010 T-shirts online. If you were not already aware, TheOneRing.net occasionally runs these t-shirt sales to offset the costs of running our website. Even with an all volunteer staff (including owners), we occasionally find our selves strapped for cash to fund basic operations. Thank you for your continued support! 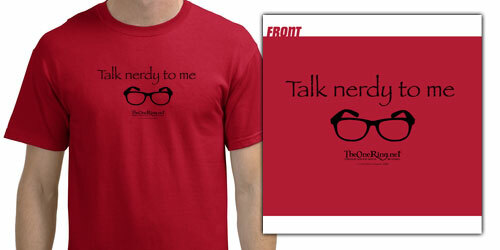 This t-shirt is a men’s style red Gildan preshrunk 100% cotton t-shirt with the words ‘Talk nerdy to me,’ a pair of glasses and TheOneRing.net logo on the front. Available in sizes Small to 2XL for $20 (+ $5 Shipping). 3XL is available for $25 (+ $5 Shipping). Please note there is a limited inventory for each size. We are using PayPal – which accepts paypal, credit cards and bank accounts. You do not need to set up a paypal account to purchase. 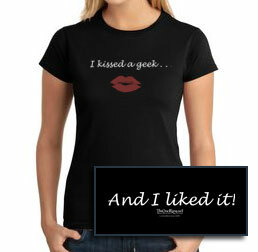 This t-shirt is a Gildan 100% ring spun cotton Ladies SoftStyle™ t-shirt with the words ‘I kissed a geek…’ on the front. On the back are the words ‘And I liked it!’ with TheOneRing.net logo. Available in sizes Small to XL for $20 (+ $5 Shipping). Please note there is a limited inventory for each size. We are using PayPal – which accepts paypal, credit cards and bank accounts. You do not need to set up a paypal account to purchase.